Remove the glass panels gently (make sure to notice how they come back so you can re-insert them the same way). Wash and scrub the lantern to remove surface dirt and flaking rust. Spray several light coats of Bauhaus Gold, making sure to turn the piece a few times to reach all sides and angles. Pro Tip: Use gloves to reinsert glass panels to keeps the glass from smudging. 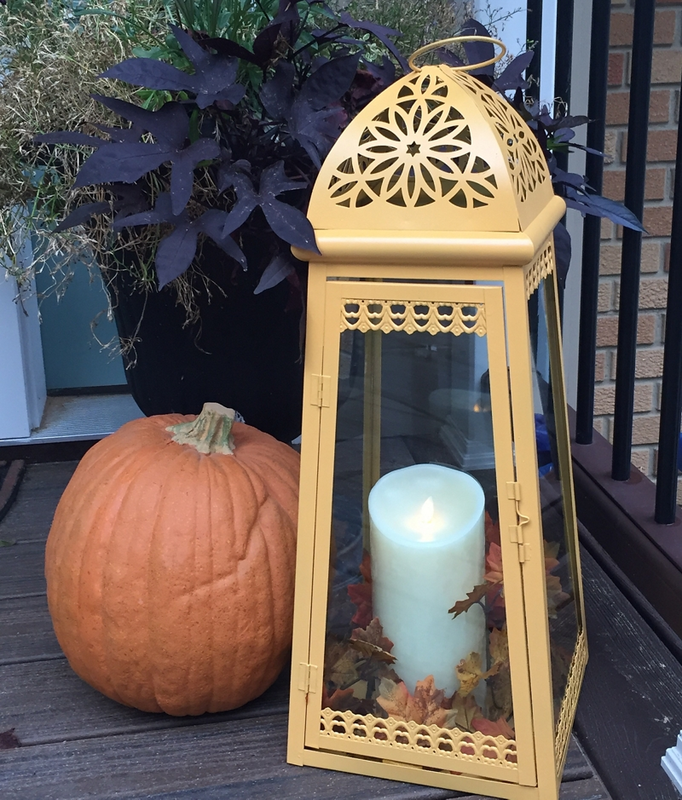 Dress the lantern for fall by adding in silk leaves to the base. Add in the battery-operated wax candle.